Music, Sound and other Acoustic Phenomena are discussed and analyzed in their NUMERICAL FORM only, and visualized exactly as they are perceived through the sense of hearing. This is a Holly Grail for the innocent music lover, player and composer, who for the first time in history have the possibility of understanding what is music from a holistic point of view that doesn’t limit theory to one system only. The “Research” section on this website [WhatMusicReallyIs.com] represents the in-the-making process of the What Music Really İs manual as an interactive presentation, book, and featured documentary. It wishes to be the scientific & mystical knowledge base on the science of music: harmonics, sound, acoustics, tuning and all else related. “What Music Really İs” is a statement. It is not a question, and not a theory. It is a fact. “What Music Really İs: The Manual for The 3rd Millennium Musician, Spiritual Seeker and Free Energy Discoverer” together with “Harmonic Series Hearing Study for the Liberated Ear”: the only True Ear Training lessons for the development of Perfect Aural Frequency and Harmonic Sonic Distance Recognition are currently the single resources that present music for what it really is, without points of view or centers of interest. All the concepts presented here are not the result of historical practice, do not adhere to any philosophy, are not linked to any school of taught and do not specifically endorse any form of institutionalized, academic- or esoteric-type of content. The form in which all facts are presented does not make use of any standard (modern or ancient) music theory or nomenclature. 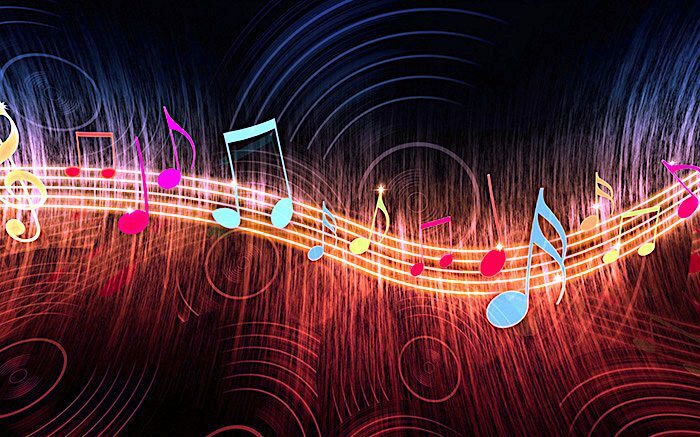 Music, Sound and other Acoustic Phenomena are discussed and analyzed in their NUMERICAL FORM only, and visualized exactly as they are perceived through the sense of hearing. This is a Holly Grail for the innocent music lover, player and composer, who for the first time in history have the possibility of understanding what is music from a holistic point of view that doesn’t limit theory to one system only. Educated musicians on the other hand, might find it hard to part from the concepts through which they define a part of who they are. Nevertheless, through the willingness and power of leaving musical indoctrination aside, the infinite universe of sound will be unfolded just as it really is: in its purest and natural form. “What Music Really İs” wishes to be: The idiot’s guide to what is music. Music explained. Everything about music. The definition of music. The science of music. Truth-Based Maths. The truth, and nothing but the truth about music. Forensic Musicology. Music Theory 101. Alternative music theory. Rethinking music. The most complete and accessible information on the true nature of sound, harmony and ultimately music. And it wishes to reach anyone, no matter their previous experience or knowledge in the fields of physics, mathematics and music. This study wishes to answer very important questions, without defining concepts through the same notions that started questioning in the first place. Therefore circular references are excluded. Any kind of issue is elegantly addressed, without ever using any of the confusing modern terminology so deeply entrenched into our culture’s subconscious. Everytime musicians discuss music they use names for different musical elements, which the innocent music lover does not understand. These names are nothing but accidents of human history and culture, just like the music systems they represent. Most important, all these names refer to numbers and number-relations; they cannot give a proper definition of music because they are not the music — numbers are. What we know as C – D – E or Do – Re – Mi or Ṣa – Ṛi – Ga or Νη (Nī) – Πα (Pa) – Βου (Vou) or 上 (shàng) – 尺 (chě) – 工 (gōng) or ハ (Ha) – ニ (Ni) – ホ (Ho) is not music. The modern staff notation and the spiraling circle of fifths, sharps and flats, major and minor, tonic and dominant, counterpoint and modern harmony are not music. The concert frequencies of 440, 432 (256), 528 (444) or 424 Hz are not music. These are just arbitrary cultural conventions, symbols and tools used in the past to define a set of rules imposed on the arts, having little in common with the true nature of music derived from the physicality of sound. They have served us well hitherto so let’s just say goodbye ’cause now they need to go where they belong: behind the glass of display cases inside museums. If equal temperament is dissonant and out of tune, if tones are not notes and cents are an obscure and inappropriate unit of measurement, if octave equivalence isn’t true and the 7-white/5-black piano keyboard is a historical accident with irregular layout and the most difficult instrument to learn and play, what is then music? What is just intonation and what does rational tuning mean? Is there a real, natural and universal scale of sounds that can define music? The answers to all these are readily available for anyone who can count 1, 2, 3. This article was originally published on WhatMusicReallyIs.com under the title “The “What Music Really Is” Manual: What Is It, and What It Is Not”. For more articles by Bo Constantinsen, visitWhatMusicReallyIs.com. READ WHAT CAN MUSIC TELL US ABOUT THE NATURE OF THE MIND?